Child safety is essential for the healthy growth of children and therefore we all should ensure that they are away from risks which may adversely affect them mentally and physically. 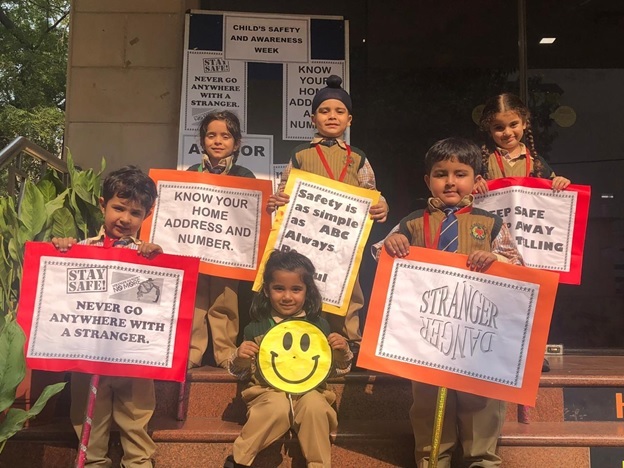 To raise the consciousness of the risks and to enable our students that how to cope with the difficult situations “Child Safety Week” took place between 19th November to 22nd November 2018 at K.R Mangalam world school Paschim vihar. It was indeed an awareness program to provide an essential life skill to the children where teachers equipped their pupils about the concept of ‘Stranger Danger’. 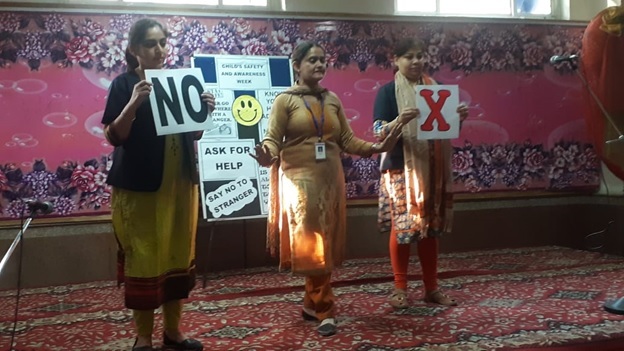 Through role-play, banners, rhymes and songs, teachers elaborated the kids that how they can take preventive measures against the strangers by saying ‘no’ to them. Teachers also motivated the students to take help from a trusted adult by saying “Help”. They were also encouraged to learn their Parents’ names and address etc. Simultaneously, children learnt to express various emotions like happy, sad, perplexed etc. at the right time. Overall the one week safety programme for kids proved effectual for all of them as it will help them to prepare to deal with the situations.